In Tokyo, an unchanging despair is lurking. Mysterious man-eating beings, ghouls, run rampant in Tokyo. Living hidden during everyday life, the existence of ghouls, whose true identities are shrouded in mystery, permanently terrorizes Tokyo's residents. 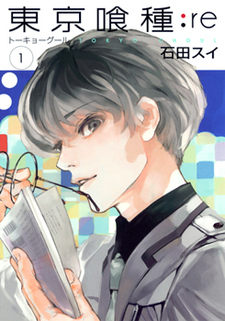 At CCG, the sole institution that investigates and resolves cases related to ghouls, Haise Sasaki has been assigned a certain mission. While dealing with the unruly four problem children known as "Quinx", Haise's days of suffering begin...?! A sequel that devolved into a train wreck after a decent start. A brilliant story and world jumbled with trash characters and relationships.